I have purchased and greatly enjoyed Volume One of your book series. Things had been going well until I aggravated tendonitis in my right elbow (I'm a classical musician and music teacher). I don't want to stop lifting, nor do I want to be relegated to just cardio. I have been doing lower body workouts. What do you think of training my upper left side to keep things going? My right arm should be better in a month, and I thought this would give some extra training to my non-dominant arm and side. My Answer: It's perfectly fine to focus on unilateral movements for the upper body. In fact, training your left side will lessen the effects of detraining your right side. 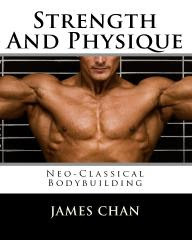 In other words, you will not lose as much muscle or strength if you train unilaterally. So by all means keep training your left side while your right arm recovers. Do you still recommend doing total body workouts three times a week? If so, then how many sets? My Answer: I recommend variety. I recommend changing the program parameters every so often and that means from time to time switching from total body workouts to split routines. Doing total body workouts three times a week allows you to train a lot of muscle frequently. You gain muscle at a faster when you train frequently. The problem is that if you're training every single body part in each workout, then you can't pack in too many sets for muscle group. 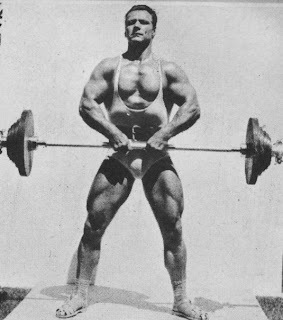 If you trained all 8 major muscle groups that bodybuilders typically hit, then you would only be able to do 3 sets per body part. If you tried to add any more sets, then you'd overtraining. A lot of strength trainers try to get around this by putting you on abbreviated programs, where you don't do any direct arm work. Instead you just focus a few core lifts, so that way you can add in more sets. I have been consistently lifting weights now for 3 months, and I started with this routine, which was upper body on Monday and lower body on Tuesday, then same thing Thursday, Friday. Since May I started doing chest/triceps on Monday, back/biceps Tuesday, quads/hamstrings/legs Thursday, and shoulders/calves Friday. I'm still doing this workout. Is there anything you can suggest I change or do? Of course sticking with this same workout I'm sure my body has adapted to it. I need to confuse my muscles and continously change things to make progress, right? My Answer: You've answered your own question, Arvind. Yes you do need to change things up, because 3 months is way too long to be on a program. Your body will adapt to a program within 3 weeks. I read your article and did my best to understand all of it's facets. Does 6 days of training, then, imply each body group gets hit twice each week with a different exercise than the one prior to it? For example, bench press and squats Monday, and then incline BP and deadlifts on Thursday. Is that the idea? I'm excited to get into this. My Answer: No, each body part gets hit 3 times per week. Not two. An ectomorph needs to train briefly, intensely BUT FREQUENTLY. 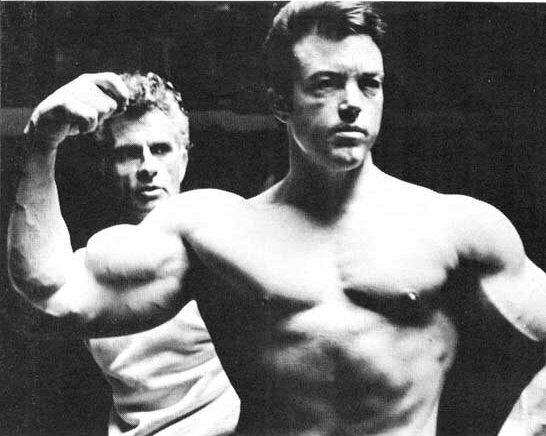 An ectomorph cannot handle high volume workouts, so his volume should be spread across the week. 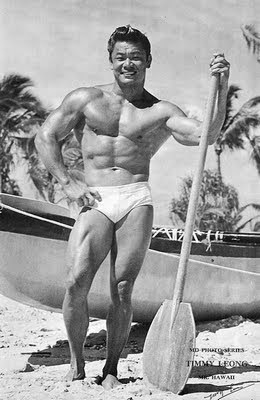 Three times a week, 4 sets per body part (not per exercise) is best for an ectomorph. Hi my name's Lucas. I'm trying to lose some weight for ROTC and also want to start getting ready for (hopefully) becoming an MP. Could you give me some tips for beginning fat loss resistance training? Thanks alot. My Answer: Strength training for fat loss is very different from strength training for muscle gain. For muscle gain, you do straight sets in an attempt to flush a select set of muscles with blood and create lactic acid build up. This localized build up releases a number of hormones which grow muscle. 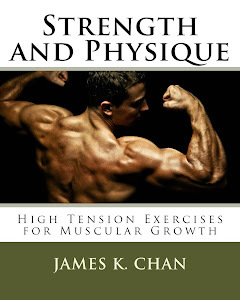 In other words, to build a particular set of muscles you have to keep the stress on it for an extended period of time. For fat loss, it's completely different. Your entire musculature has to stressed. 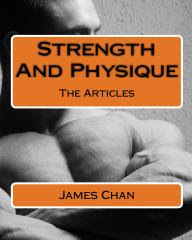 You avoid localized stress (straight sets) and attempt to stress your musculature globally. Instead of straight sets and seeking the pump in a particular muscle group, you should avoid the pump and work the entire body. First, let me say I admire and appreciate your website and online contributions. Thank you. I have to tell you the rather funny story of how I stumbled upon your site. I am a state trooper in Michigan, and a group of us have been into Crossfit for about the past year or so. I have another buddy who is no longer a trooper who is my bodybuilding inspiration. He posted about an exercise called "face pulls", so I found a demo on YouTube by a guy with the last name of Poliquin. Anyway, on that same sidebar on YouTube there was a demo by the same guy where a student was demonstrating subscapularis pull-ups (SSP's). I'd never heard of them, so I wanted to see a better demo. I clicked on a video by a ripped dude at a roadside park demonstrating SSP's and BAM!, a perfect subscapularis pull-up. You caught my attention. I then showed a bunch of the troops the first video demo, saying, "Ok, check out how this kid does it..."